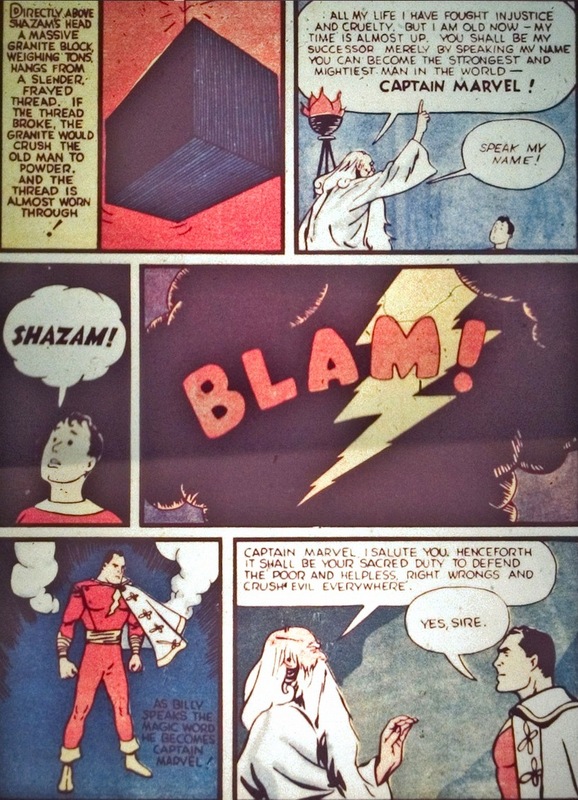 Captain Marvel (aka Billy Baxton), the little boy granted both magical powers and a military title by a crazy cave wizard, owns the title of the best selling comic book superhero of the 1940s. I’m serious. More sales than Superman, Batman, and any other crime fighter of that time. 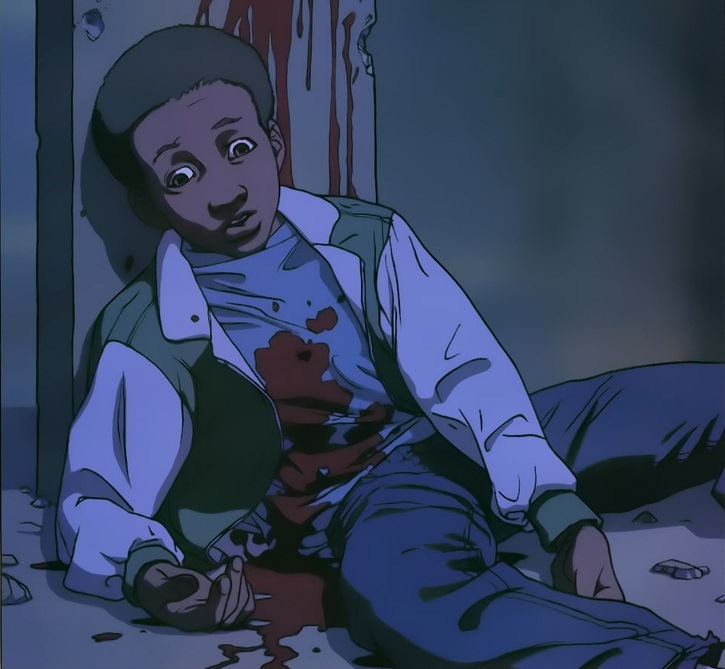 Too bad the kid’s not as popular anymore. 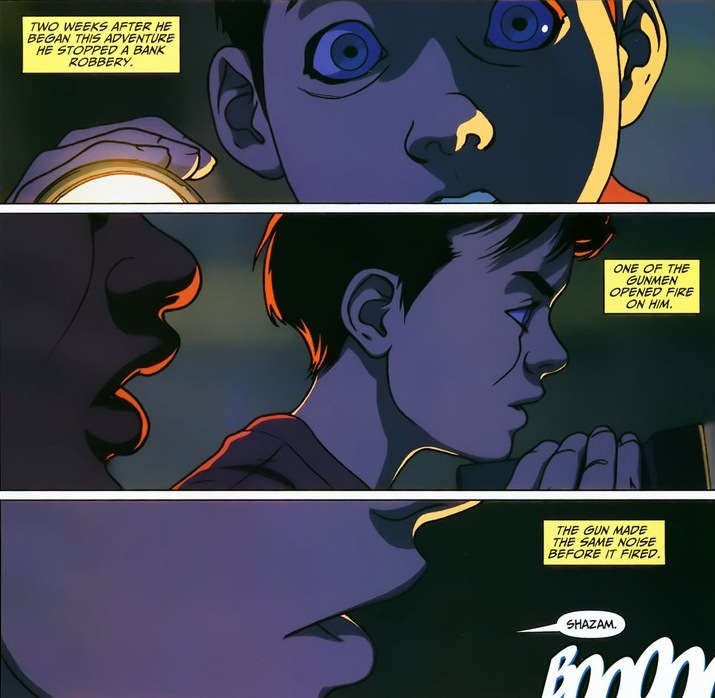 Maybe it’s because Billy’s a 10 year-old who turns into an invincible adult with a special word. Though you can imagine the tragic and inspirational origin story, right? Yessir, I found his first appearance ever in Whiz Comics #2, edited by Bill Parker way back in 1940. 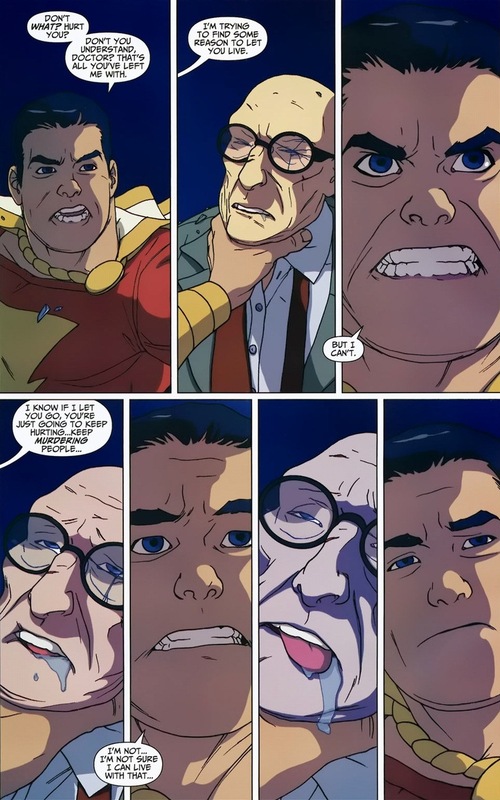 And yes, his mentor is crushed by a giant rock eight panels after he’s introduced. 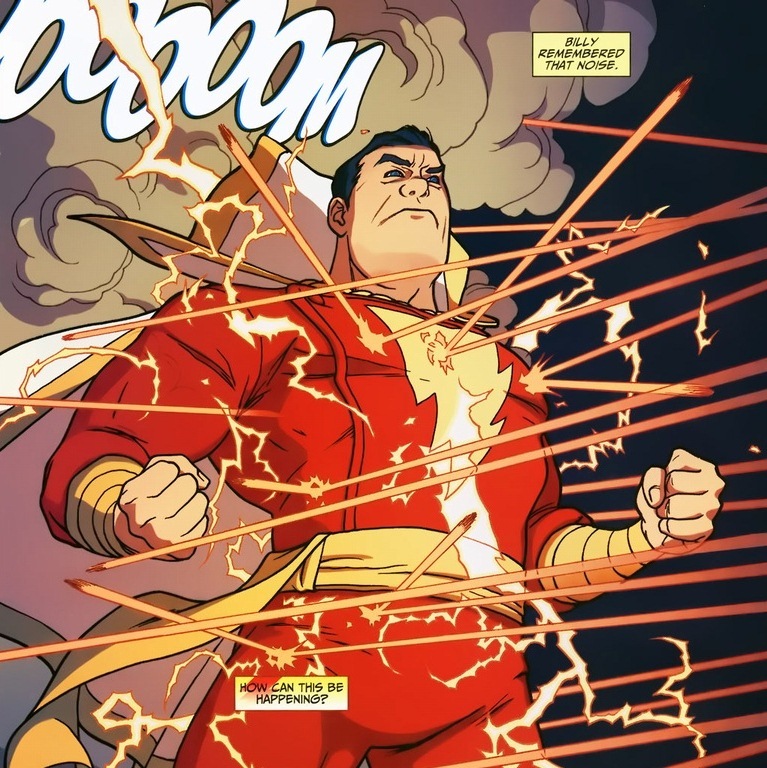 Still, Captain Marvel (renamed Shazam in the rebooted DC universe) has been childishly beating up bad guys for over seventy years. Seventy glorious years. 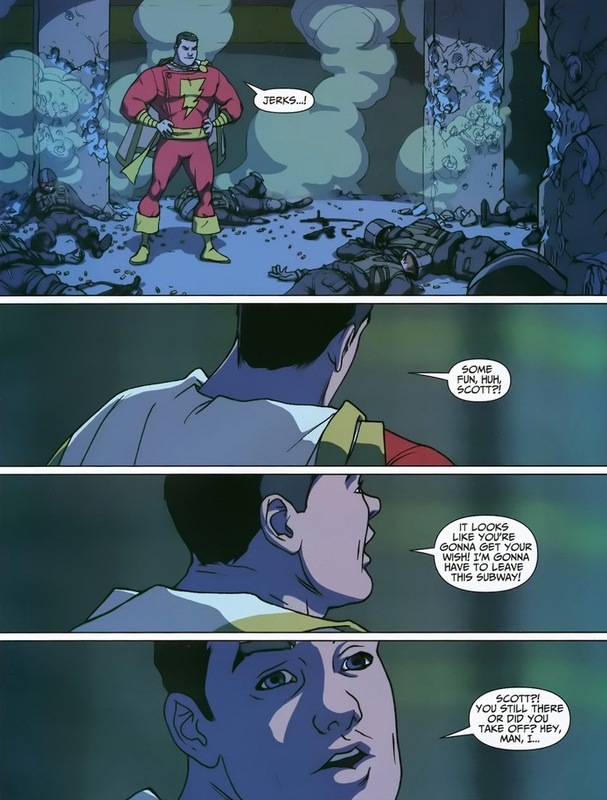 Y’see, Captain Marvel can take the same beating Superman can in his magic adult mode, but taking out Captain Marvel in his child form is as easy as murdering a poor orphan child. 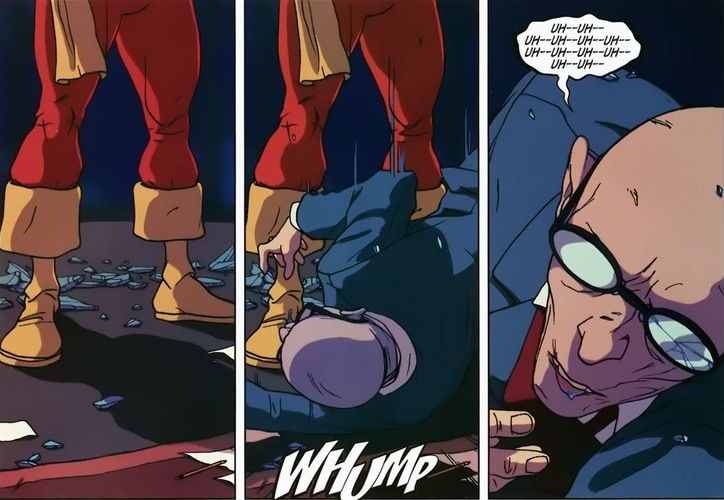 Luckily, this baddie has no problem with that kind of behavior. 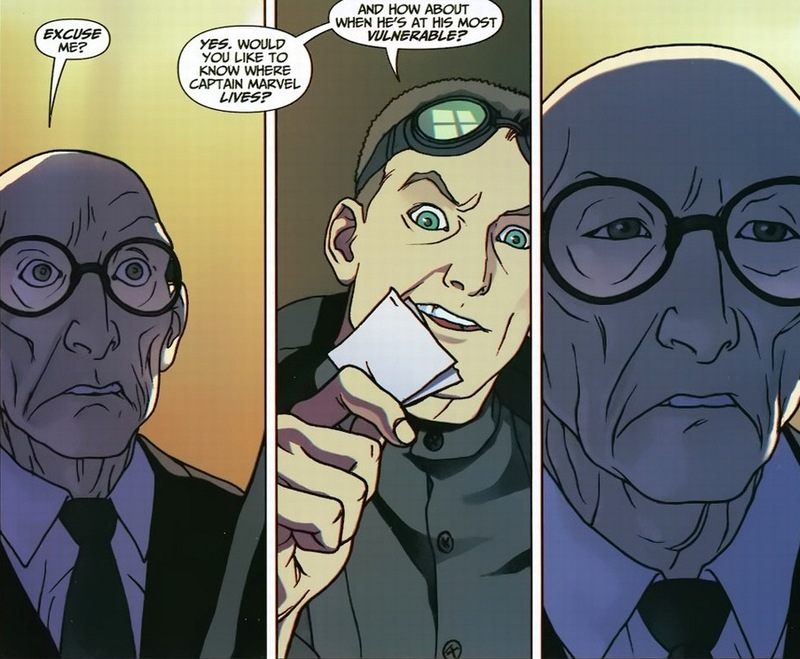 That’s probably why he got to be the main villain of the miniseries. 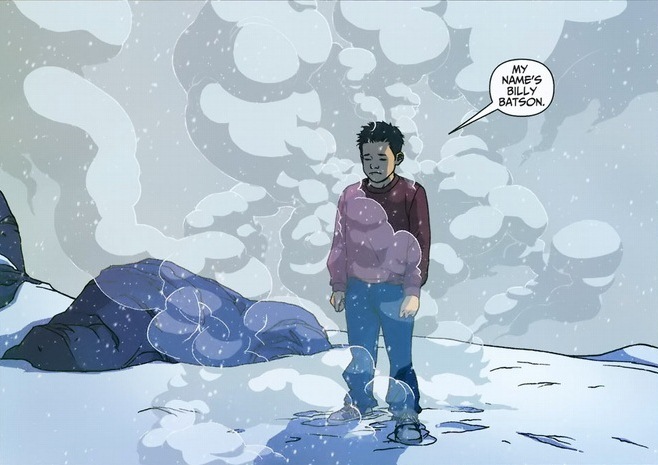 Because we know a revised origin story isn’t going to have the young boy gunned down three and a half issues in, he survives just in the nick of time. 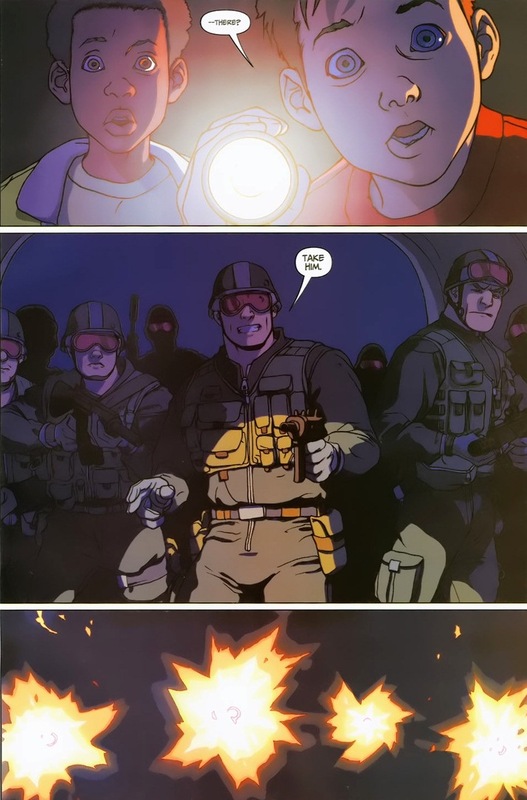 Cue a fight scene where a SWAT team struggles in vain against an angry child with superpowers. 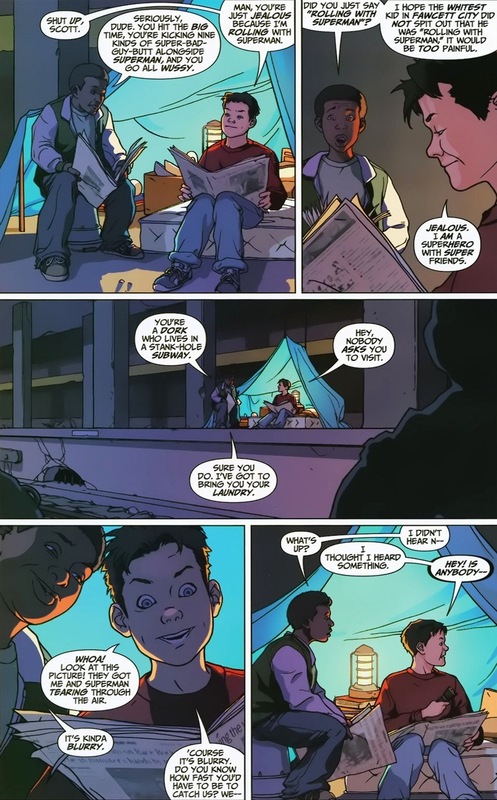 Come on, you don’t think the writer would actually murder a child, right? 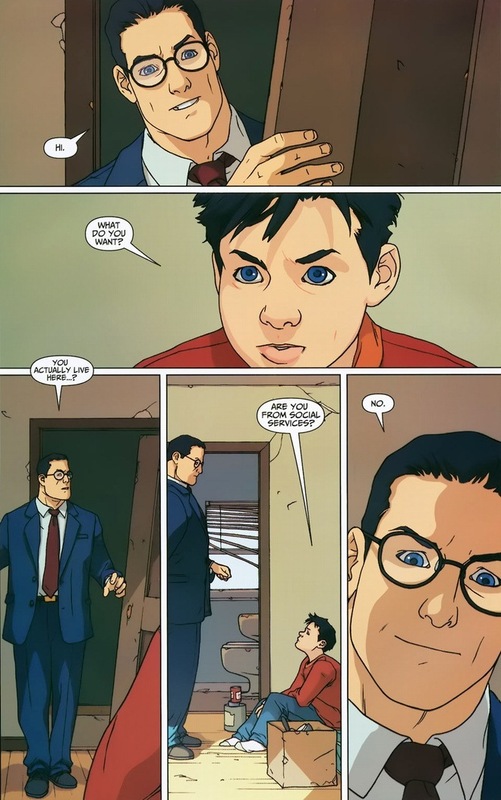 Clark Kent hears about this little rampage with both his superhearing and place on journalism’s front lines. 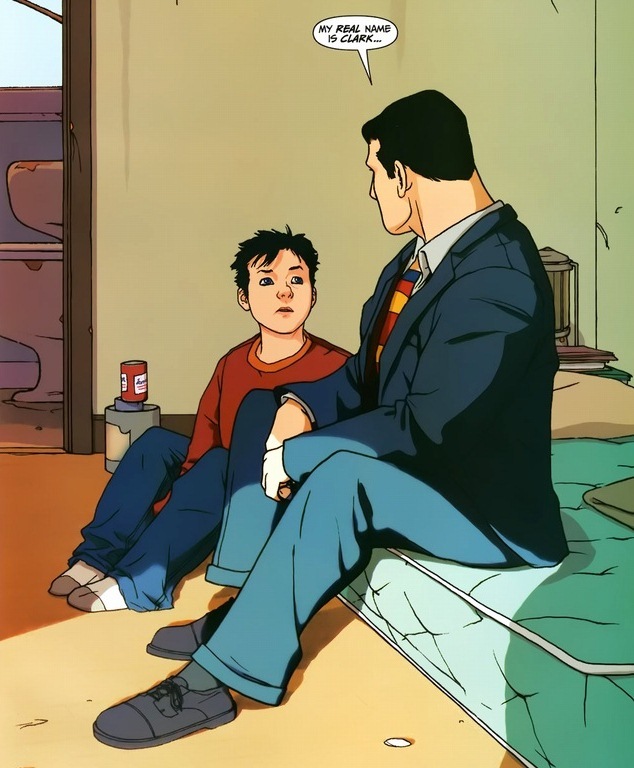 Going to confront a man he barely knows (much less the secret identity), he’s surprised by the perfect characterization of a young boy overcome by guilt and frustration. 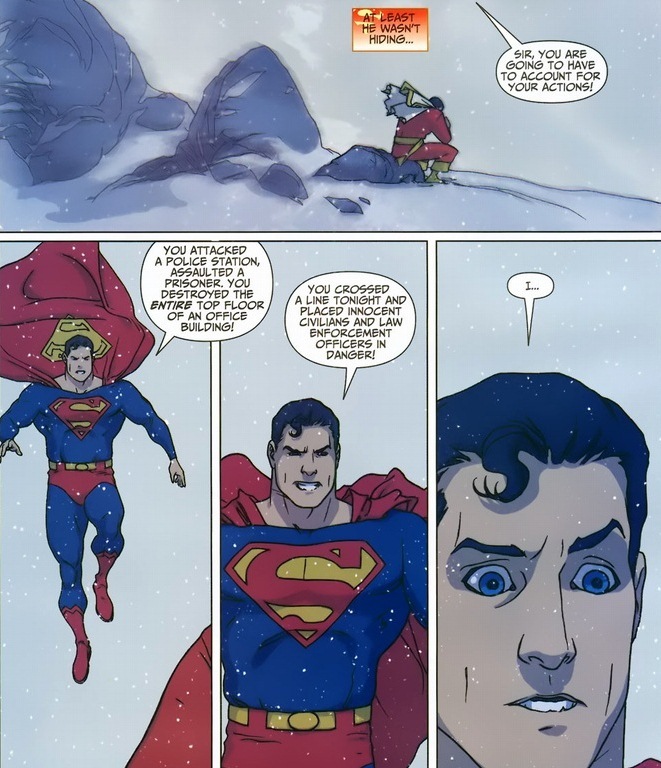 Using his reporter’s instinct, Superman gets a clue that something is up when a grown man proclaims his best friend to be a pre-pubescent boy. Except for Batman and the first Robin. And the second Robin. The third Robin too. Definitely the fifth Robin. Look, he has a selective reporter’s instinct. Way better disguise than a suit and glasses. 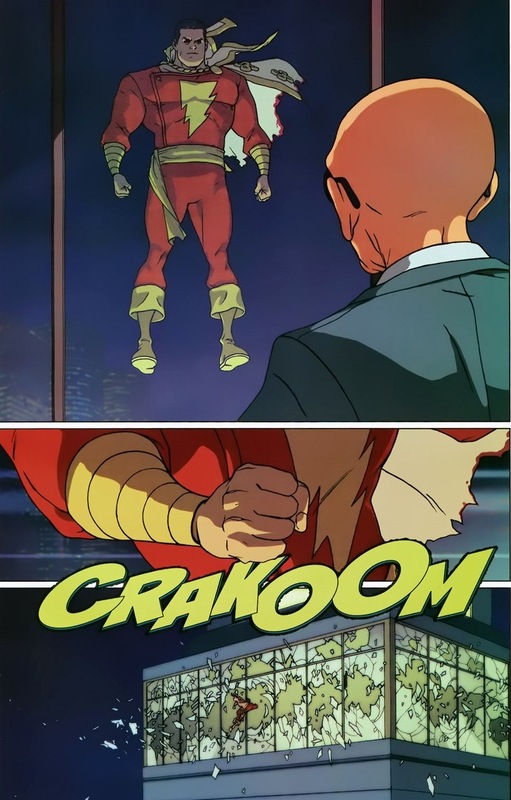 Also, keep in mind that Captain Marvel can’t just abandon and run away from this power. That insane wizard who grants incredible powers to children meant every word he said. 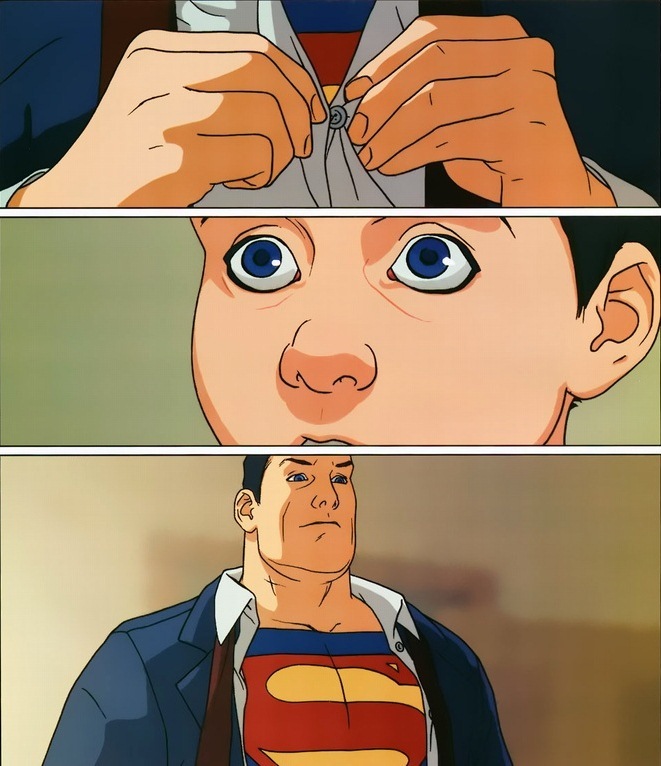 So Superman makes a decision. 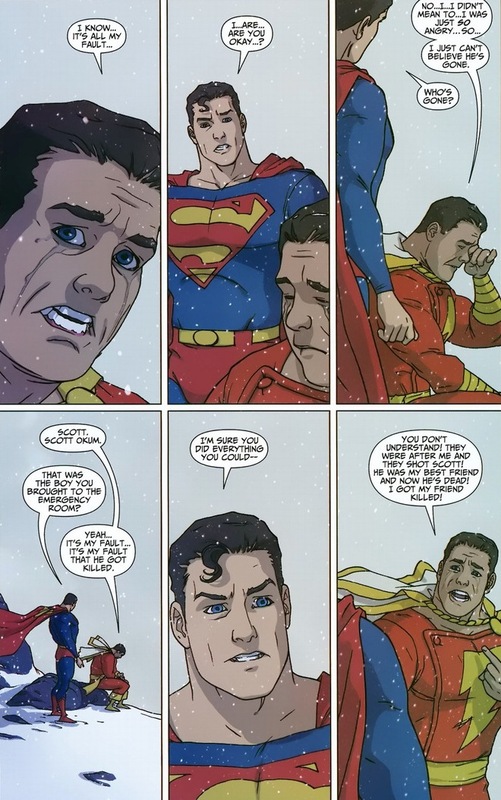 Instead of a stern lecture and vague threats directed at the friendless, homeless orphan boy, Superman figures a better course of action should be taken. The happy ending course of action. 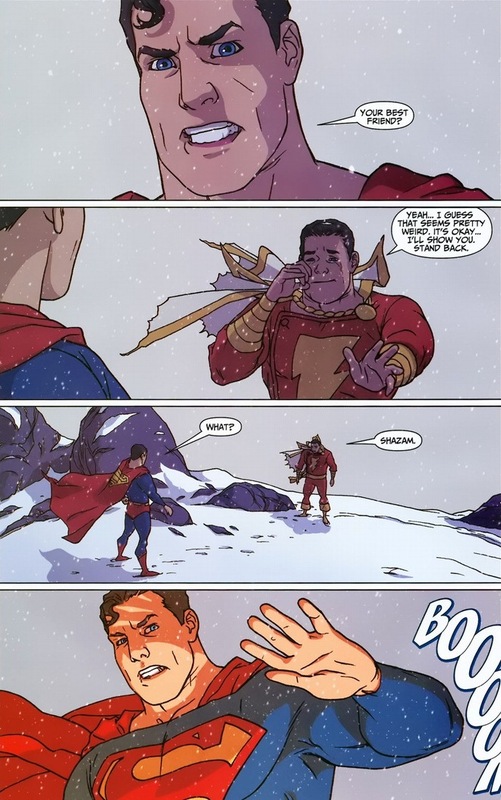 Aw, now he has a real superfriend. Warm fuzzies all around.